Last year I took a project to maximize collecting QSL-verification replies from FM-stations during one year. The goal was to pass ex-Finnish record 216 (from year 2009). 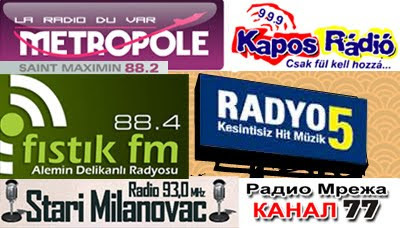 Summer 2010 gave good conds and brought a lot of new stations. Also I had many recordings from the past years. So, I mailed hundreds of reports with mp3's during the year 2010. The final result was 324 replies! So, it is kind of Guinness-record. Almost all were e-mails (about 5 letters. 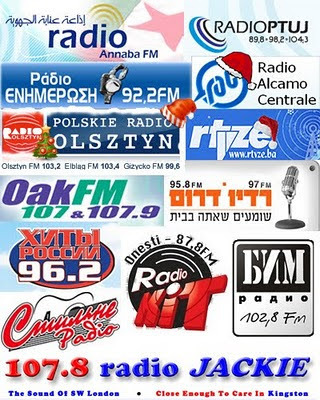 German stations kindly post QSL-cards, 5-7). All replies are confirming my clip to be their station. The biggest number of replies came from Italy, 47 stations, and from France 35. The rest are devided to almost all European countries + one from Israel and Algeria. The poorest results came from Greece, Bulgaria, Russia and Turkey (only 10 -20 % replied). I think 65 % of stations replied, but I am not sure because I did not make any statistics. 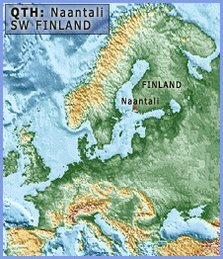 I have now total almost 1 500 replies from FM-stations, all received in Finland. However, I am not the leader. Mr Jim Solatie (Espoo, Finland) has a bit more. 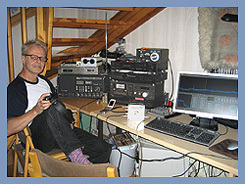 Yes, Finnish DXers are QSL-hunters, since the 70's. In mails I used their local languages with translations made by different persons in and out of DX-scene (Tnx Istvan and Marius). I used English only to Poland, Slovenia and Albania (and UK-Ireland naturally). I used also Google translator a lot, trying to avoid big mistakes and complicated sentencies. 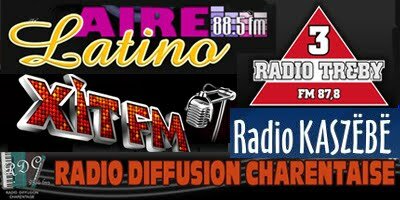 Above and below you can see logo-collections of some stations which kindly replied to me.